The Ethiopian Federal High Court has announced it will try six bloggers and three independent journalists charged with terrorism. The defendants were arrested in April 2014 and are accused of plotting with the Ginbot 7, a political party classified as a terrorist organisation in Ethiopia. The six bloggers are part of Zone 9, a blog that focus on human rights, social justice and corruption. The arrest prompted netizens to voice their dissent on social media under the hashtag#Freezone9bloggers. This is not the first time that the country has used its anti-terrorism law to target media and apply censorship, prompting the outrage of NGOs and other governments. Ethiopia implemented anti-terrorism legislation in 2009. The law was deemed "deeply flawed" by Human Rights Watch. Many associations, including the UN, have criticised Ethiopia for using its anti-terrorism law to curb freedom of expression and target the media. Last September, the UN issued a statement urging the Ethiopian government to stop misusing the law, used by leaders to target journalists who are then imprisoned, sometimes tortured and are not guaranteed a fair trial. Following the High Court announcement, made on 28 January, the US also expressed concern over the repeated misuse of the anti-terrorism law. "The [court's] decision undermines a free and open media environment—critical elements for credible and democratic elections, which Ethiopia will hold in May 2015", the statement said. "The use of the Anti-Terrorism Proclamation in previous cases against journalists, activists, and opposition political figures raises serious questions about the implementation of the law and about the sanctity of Ethiopians' constitutionally guaranteed rights to freedom of the press and freedom of expression." 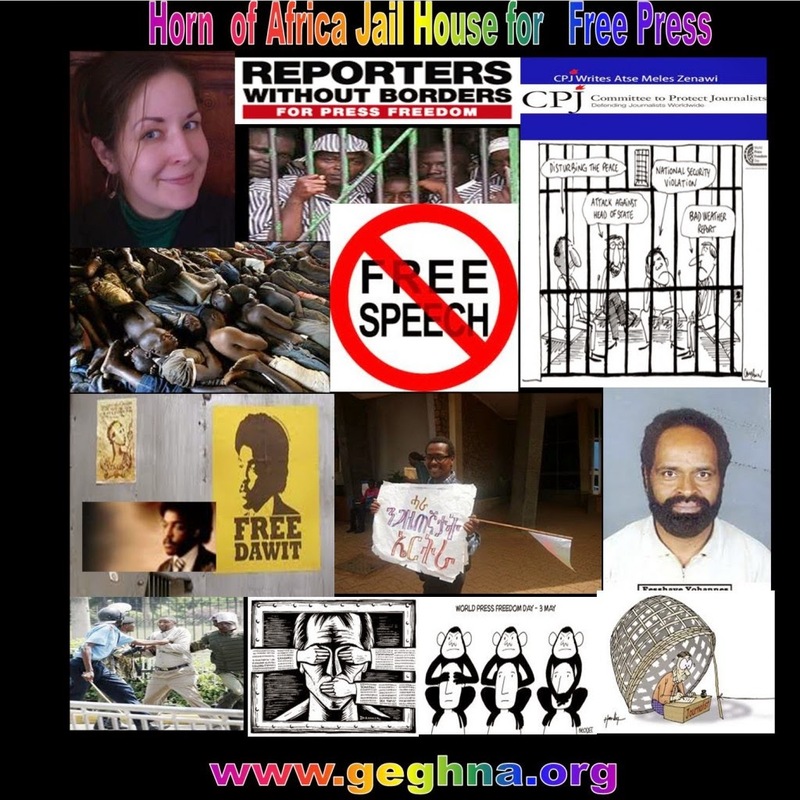 FILE - Some of Ethiopia's Zone 9 bloggers are shown in this image. Could Kenya Learn From Ethiopia's Anti-terror Strategy? The trial of Ethiopian bloggers known as Zone 9 was adjourned yet again Monday after prosecutors failed to amend terrorism charges as ordered by the court. The development raises the likelihood that some charges against the young bloggers and journalists may be dropped. The six members of the Zone 9 blogging collective and three affiliated journalists were imprisoned in April, accused of using social media to incite violence in Ethiopia. They were charged under Ethiopia’s anti-terrorism law in July. This was the 15th adjournment of their trial, now due to resume January 14. Ameha Mekonnen, the attorney for eight of the nine defendants, said “this is the last chance” for the prosecution to amend charges. If that’s not done by the next hearing, he said, the judges will exclude them. One is related to digital training allegedly received by the journalists. The court on Monday accepted other charges: that the defendants formed a clandestine organization, incited, attempted and organized damage to the community, and planned terrorist acts as outlined in Ethiopia’s anti-terrorism proclamation. Ameha said it would be good for the Zone 9 bloggers and journalists if the prosecution fails to amend the remaining charges. "It has got only six types of human behaviors that are regarded as terrorist acts," he said. "… The law itself is not clear – simply, if someone plots to cause damage to the community, it amounts to terrorism." International human rights organizations have repeatedly criticized Ethiopia’s anti-terrorism proclamation for its vagueness and its use as a tool to silence dissident. In a recent study, the Committee to Protect Journalists lists Ethiopia as one of the countries with the most imprisoned journalists. 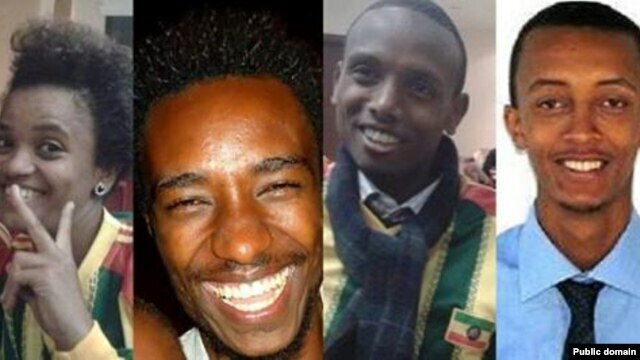 Ethiopia’s government insists that those arrested are criminals and not journalists.